In India we often name our daughters “Maya”, a Sanskrit term for illusion. While googling Koh Phi Phi and Maya Bay, the irreversible feminine feel with stunning pictures of the bay had us drooling way too long. We actually extended our stay at Phuket for longer for this tour and how thoughtful of us, that we did so! I have never seen such crystal clear water before, ever! I didn’t watch “the Beach” (movie) ever. I did watch the trailer of the movie. Now that half a year over and I am contemplating on re-visiting Thailand, I am still not done watching “the Beach”. Note: If you have not watched the movie yet, don’t bother now. Maya Bay is stunning as is, don’t even bother googling it’s images, you won’t believe the surprise until you have been there. 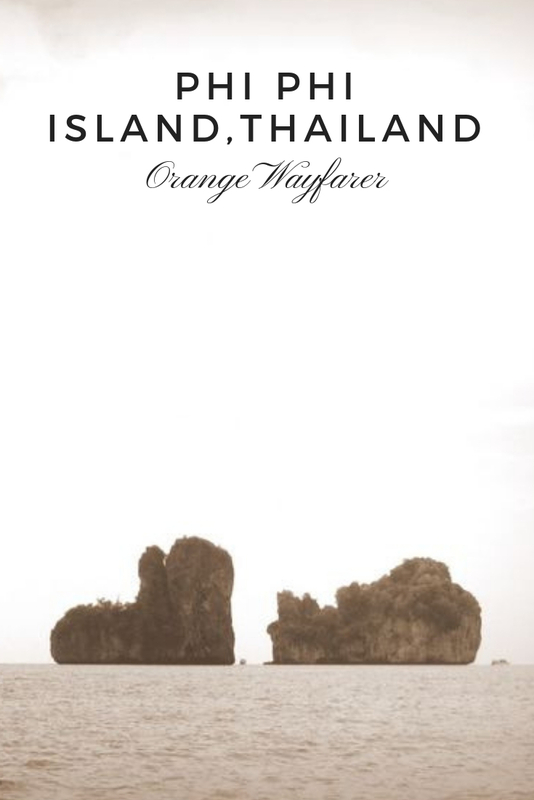 Also read, boat trip to James Bond Island from Phuket! Remember what Sean told Mitty from the movie, The unusual life of Walter Mitty? “If I like a moment, I like to keep it for myself, personal.” An instantaneous reminder of the water body surrounded by cliffs on three sides. 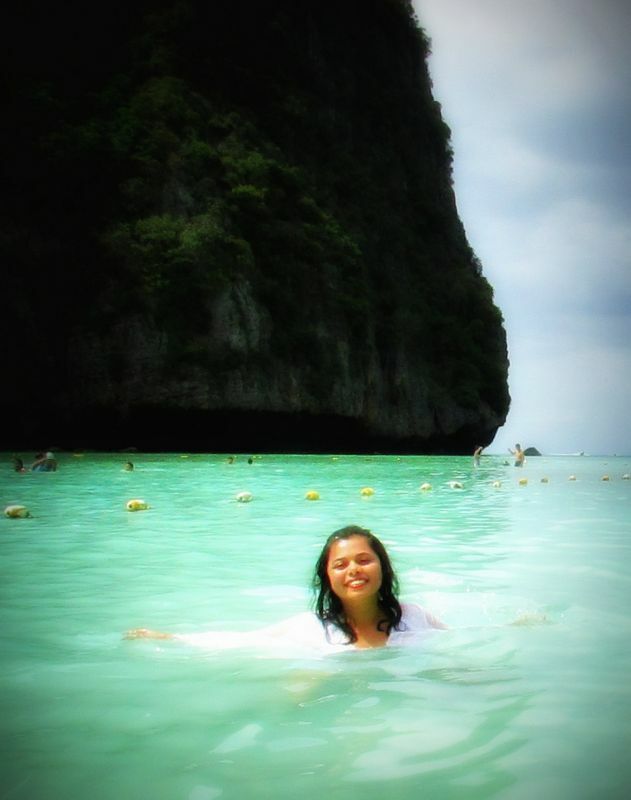 The Andaman Sea that day! 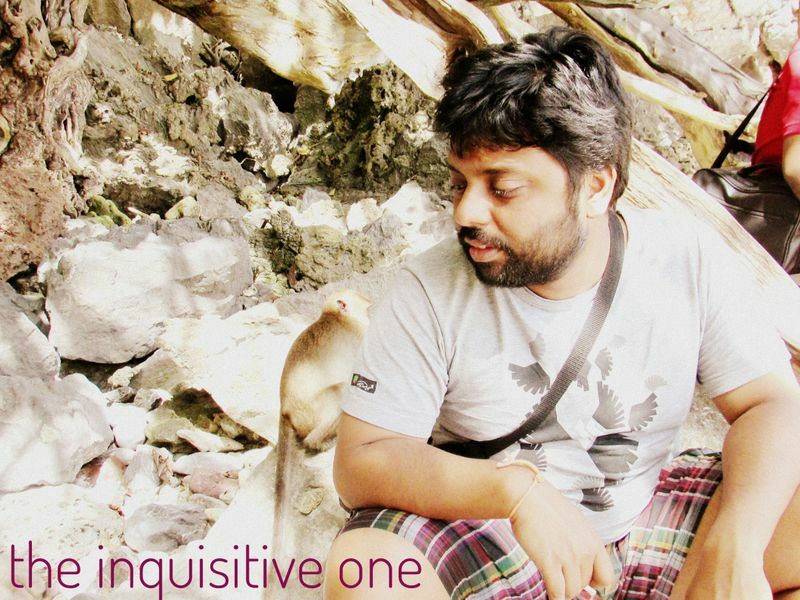 We took a speedboat cruise on a choppy sea and reached monkey island at first. Also read, two weeks itinerary to Vietnam! I don’t know for what purpose people do it when they do it, but they behave strangely with the entire monkey clan of the island. Monkey will demand food, unless you provide, they might get dangerous. Keep Safe Distance, always. 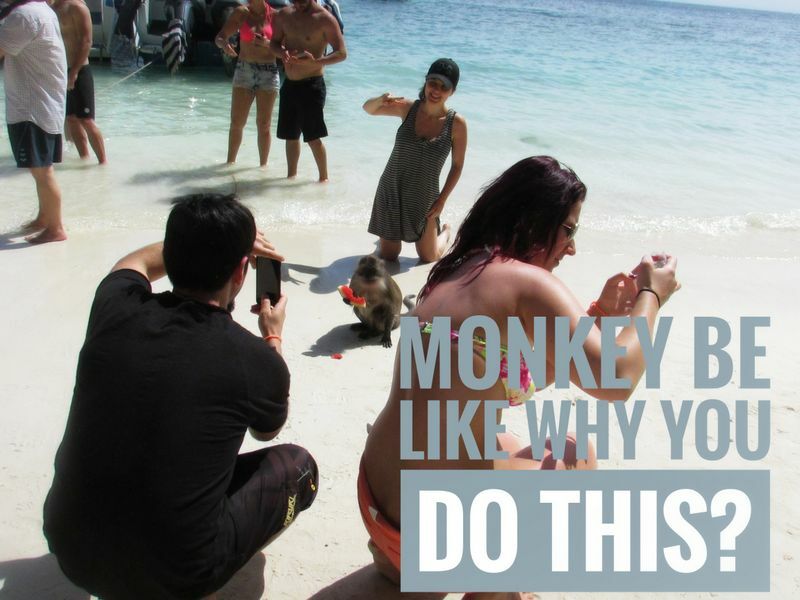 Translucent water on white sand at one side, behind you men feeding the monkey, capturing selfies to frame the generosity, the island left me feeling uneasy. Scuba on the way to Phi Phi Island! Not more than 15 minutes at the island, the boatmen will sail you to a point, claim to experience the best of coral reefs exquisite, the coveted Scuba experience. DO NOT dive unless you know swimming. I did and I repent to date. Carry towel and swimsuit, rest of the diving gears they will provide with a life jacket. The life jacket works (the reason why I am able to blog today). Scuba was in many ways getting inside a humongous aquarium to take a glimpse at the best of vivid marine. The corals, the yellow school of fishes, often swimming by your side, a nervous curious self-reminding “I might drown, I might drown” and the moment is gone in a whiplash with frantic calls for help, arduous deal of diving by a know-not-to-swim girl. Also read, the Thai food I love and would not mind going back to Thailand for! They take you for lunch afterwards. Be careful of what you eat. 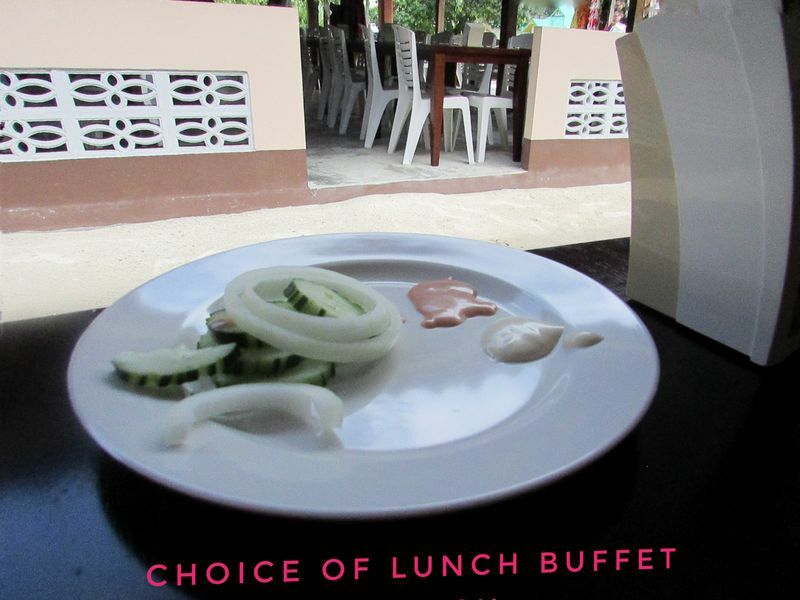 The buffet spread was decent but compared to street-food of Thailand, it was just “decent”, pat for my generous self. They serve choice of stir-fried chicken, fish, vegetables with rice and soup as well. Food is served at Koh Phi Phi Don, the mainland of Phi Phi archipelago, by local women who cover their heads and run the business of selling Sea-shells on the sea-shore, with ease. Locals tell me, Maya Bay is a stunner on a full moon night, provided you tag with them who arrange for a night stay at the island. With high tide, the water gets inside and covers up muddy patches. The 2004 tsunami had hit the Bay bad, wiping out modifications a movie set ushered. “What were you doing during that tsunami?”, I ask with wide eyes. The tsunami of 2004 taken her toll in India as well. A school student at that time, I remember newspaper headlines counting deaths on Konkan beach of the Indian peninsula. The lady says “yes, a lot of water”, and smiles. She survived the tsunami with a smile. Also read, beautiful Thailand as captured through my lens! Jay knows for sure how to steer a boat. Jay, that’s what he said his name is, a boy in his early twenties and with aa rather deep complexion for a Thai and sharp eyes, is well versed with the English language and assured me “no-one has ever drowned from my boat”. 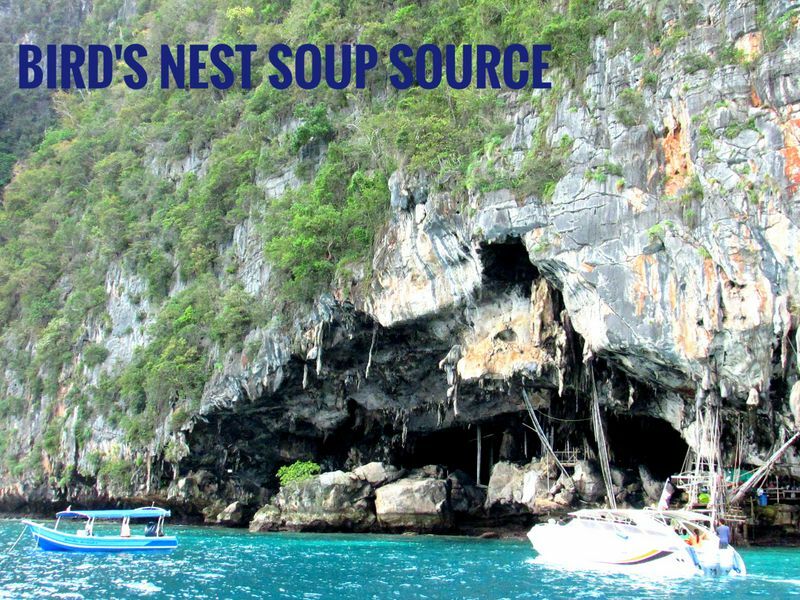 He tells us the Bird’s nest soup, a delicacy for Thai royalty, is collected by the cliff-dwellers. Claim to fame for long-lasting youth, the Swiftlet’s saliva makes up those intricate nests. 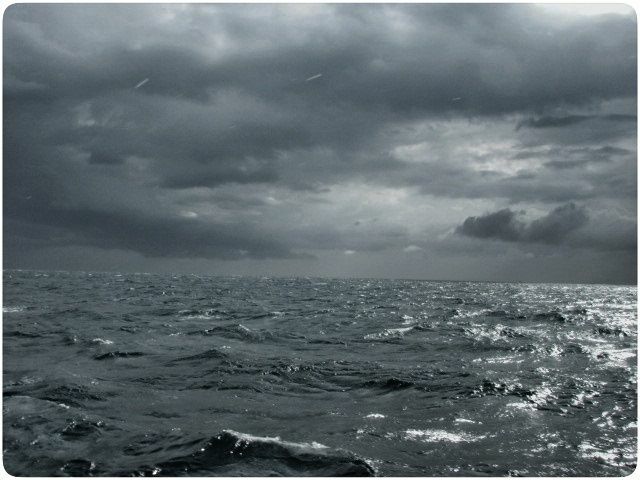 Jay tells us to hurry, seeing a dark sky, he senses the sea to gloom up. We enter Maya. 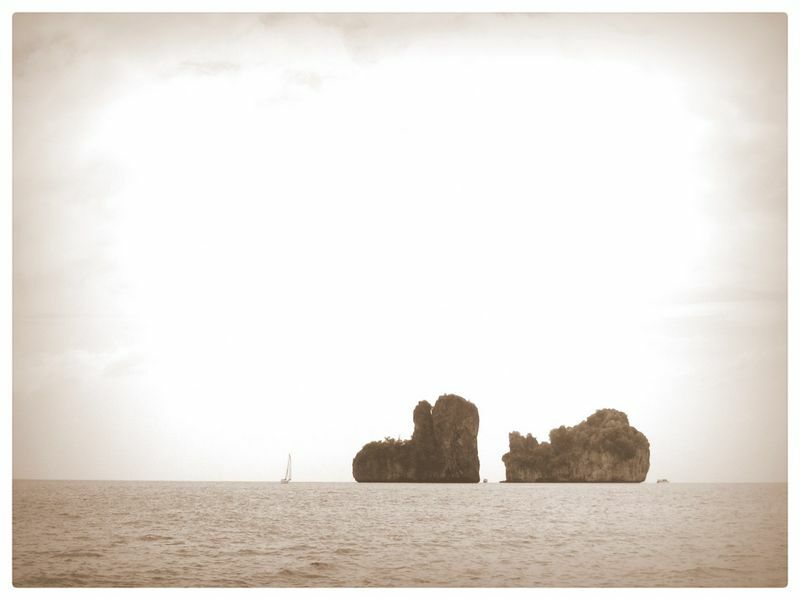 Phi Phi Island from afar! 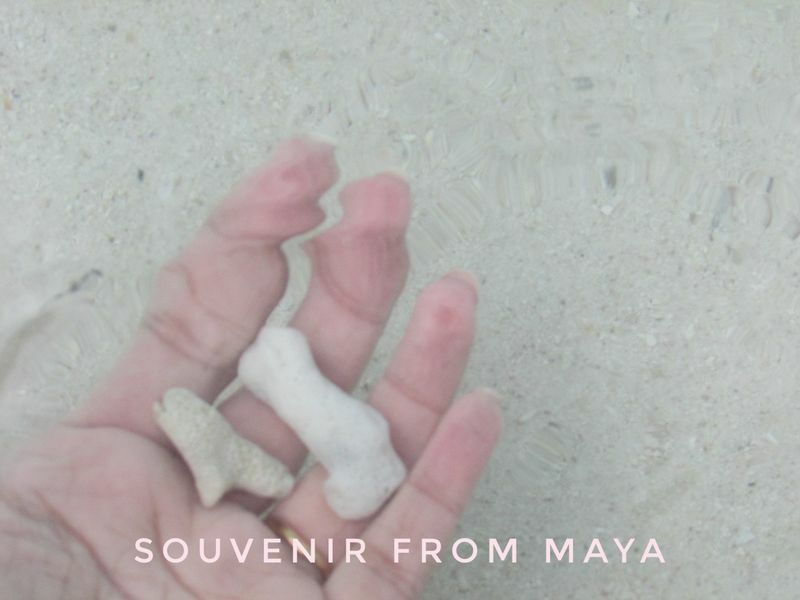 I was tired by sea-sickness, greasy food and a near-death experience from scuba never tried googling Maya beforehand and expected the least from the beach. Little did I knew about the best surprise from South-east Asia, quintessentially from the whole of Asia I have seen till date, was tucked inside. 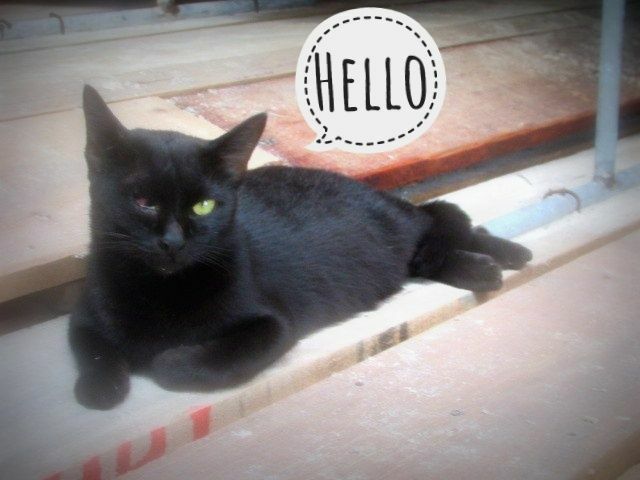 I have often met blind cats on the road! Also read, how to plan a jungle safari for Masai Mara! The beach is dotted with boats and few vessels afloat their emerald green water. I wonder how long it will sustain the perils of human intrusion. Pristine is not exactly how you define Maya anymore, but stunner she is. There is a national park sign beyond which you are suggested not to enter. People make merry on the water with white sand and rocky bed. Swimming is a dangerous venture here, I presume. One hour was not enough to endure her beauty, explore the caves and cliffs and bask in the shadowing sun. 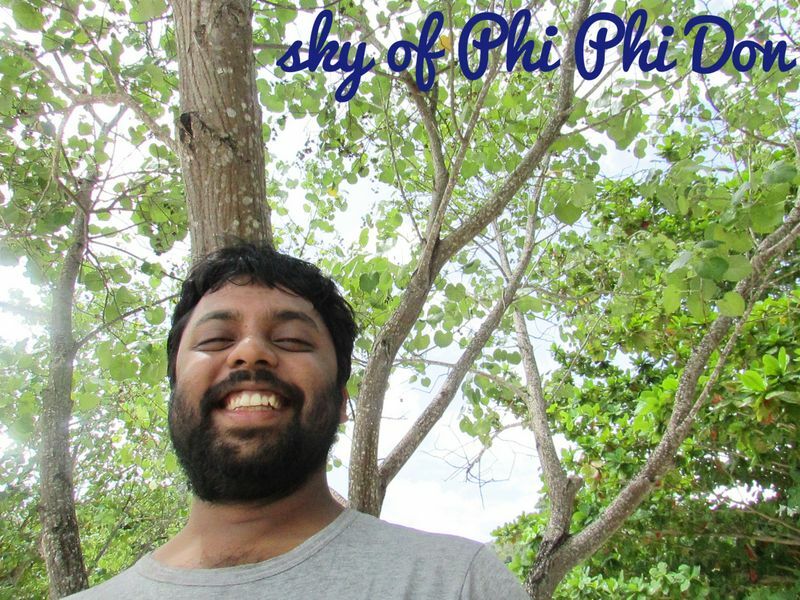 In the pressing itinerary, it was impossible to make another visit, but I strongly recommend people visiting Phuket, go and explore Maya Bay and only Maya bay is enough to succumb to Andaman sea’s erogenous beauty. While returning there is a stopover at a small island. You may enjoy a sip of overpriced beer or two. You shall be back to the pier by 5 pm and requested to collect the shoes. Walk back home on naked feet otherwise. If there is a weather forecast, do not travel by speedboat. A real pain for 2 hours. Love scuba and witness underwater life? this is your place. Do not try to climb the rocks, I fell on one and broke my camera. Do not eat much if the sea is rough. The journey will not be peaceful. Please do not feed the monkey clan or try taking selfies with them while feeding them. We paid 1200 Baht per person after a heavy bargain, end January, one of the better season. carry your swimsuit, extra towel. 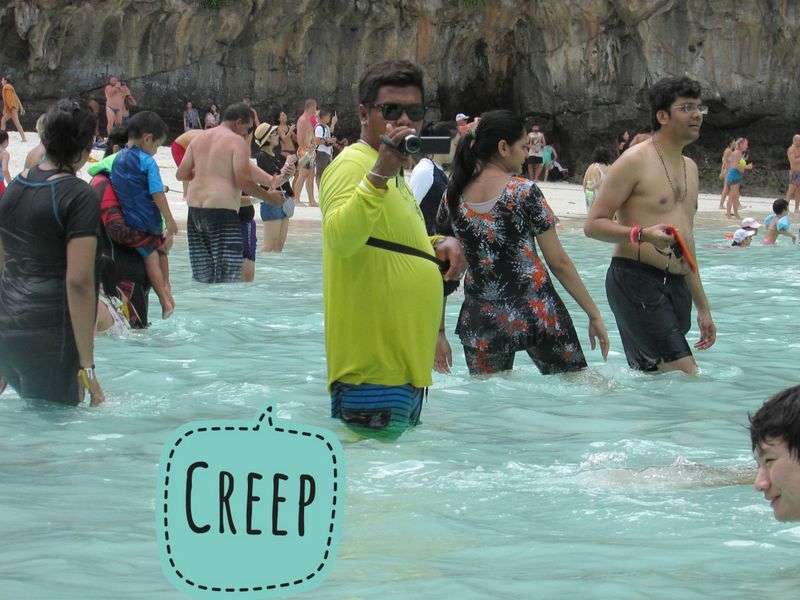 Have another day at Phuket? Plan a trip to Phang Nga bay/James bond Island. 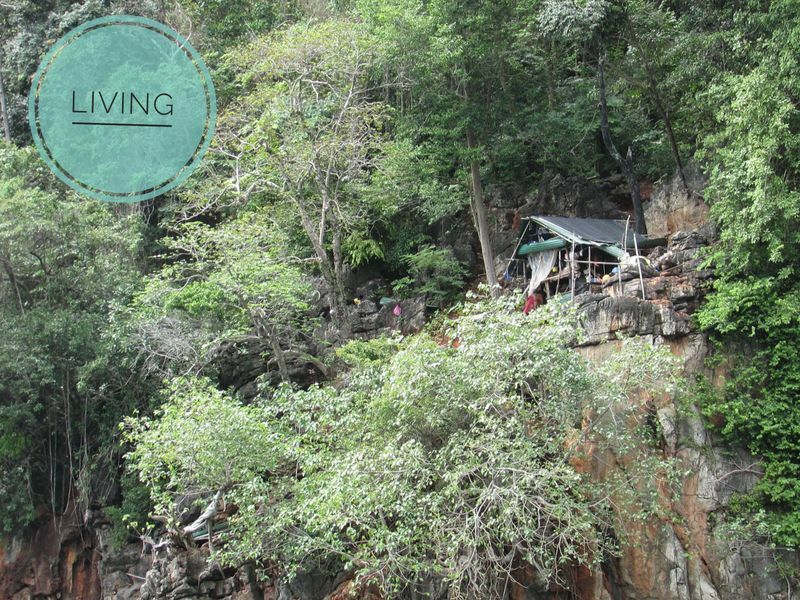 Want to tour Thailand virtually? Look no further. Only made it partway through, as I have to get back to work, but can’t wait to come back and read more. Beautiful pics! This place is going on my bucket list! It is worth in every sense. Do come back and say how you felt. Maya is so close to my heart. Looks like it! Thanks for the visit. I’m looking forward to getting some time this evening or tomorrow at camp to sit down and check out more of your blogs! 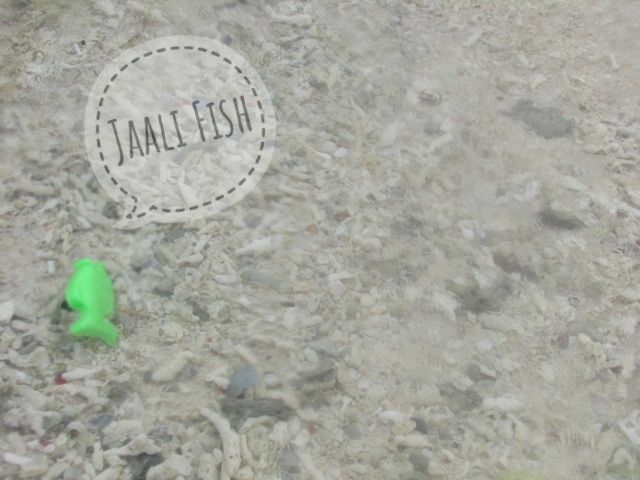 Phi Phi Island is one of my favorite place. Phi Phi is my fav too. Thanks for sharing!